Sigh... it has been a while since I read Storm, and this novella reminded me of how much I love his book and the Ashes and Embers series. This was the perfect addition to their story, the trials and tribulations of their relationship, and a wonderful glimpse of their love. It was great to catch little snippets of the guys and gals of the other books in the series too, and I hope to get a little more of all of them in the future. 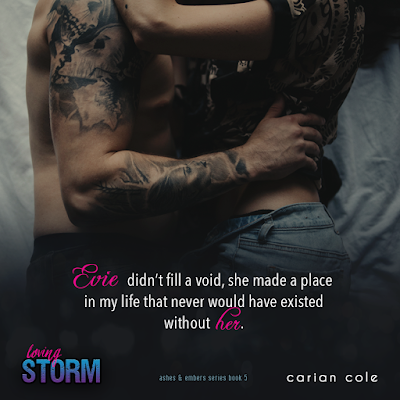 Loving Storm so that you can fully enjoy the story.